Summer Lily Quilt rewards the careful, accurate quiltmaker. Although there are no advanced techniques used in the quilt, accurate cutting and seam allowances are critical. Many sections have bias edges and there are many gentle set-in seams when assembling the quilt center. 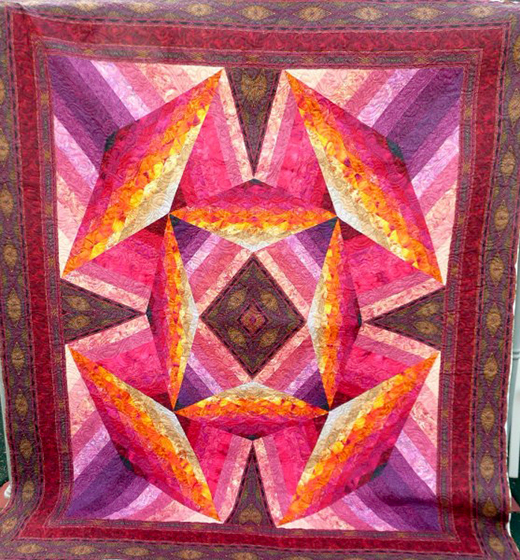 The Summer Lily Quilt designed by Jinny Beyer, The Pattern is available for free.